"With The Rx Office Mats, we get incredible comfort, safety and style in our office"
The Rx Office Mat™ is engineered from superior, non-slip memory foam and is tested and endorsed for its ergonomics by world class physicians and their staff. The shock absorbing cushion helps to minimize the exhaustive discomfort associated with standing for extended periods of time. 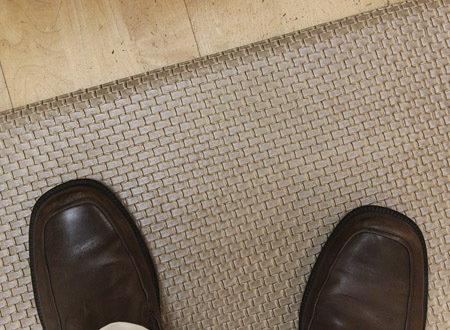 The Rx Office Mat™ is ideal for use throughout the office, anywhere prolonged standing is necessary. Product Dimensions: 20" x 30"